Aids Orphans Rising: Please don't tell them I am a Leper! Please don't tell them I am a Leper! What’s a mother to do? I accompanied a young mother and her three children, all lepers, to the village clinic to pick up their medicine. The doctor explained they would each have to take three different drugs a day and return every three months. He then poured a three month supply of pills into a piece of old newspaper, bundled it up and wished her well. If you are counting, that’s 1080 pills! One bright note, the medicine was free. The family returned home to a one room hut with no nice medicine cabinet and no sanitary source of drinking water - not even clean drinking glasses. I asked the mother if she could organize the daily doses and make sure the kids take them. She said they were usually good at taking them for a week and then they all gradually stop taking them. And so the saga continues. One night the doorbell rings at the convent being the closest one to the door I went to see who it was. It was a man with leprosy and three children under 5 years of age. His leprosy was very advanced, he had very few gnarled fingers, a very deformed right foot, and a really damaged nose. He said, “Please take my children into your hostel as my wife has just died from AIDS and I can’t take care of these children, please let me leave them with you and I will go on to the Leper colony”. I was so happy that we have Siena Home a hostel for children in need. We were able to help this man provide for his children. 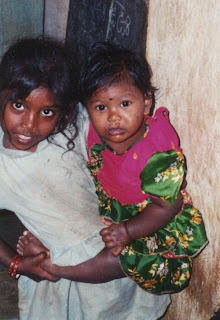 I was very proud to learn that our school in India was one of the first to take children with leprosy into our school. The Sisters made sure that these children received their medicines daily and were in no way a harm to the other children. At first some parents complained but when Sister was able to explain the circumstances to them they all accepted these children. One of these children was the little girl who came crying to Sister, “Please don’t tell them I am a Leper”. Ironically she is an orphan from AIDS! Please if you haven't helped recently do what you can to help our Sisters to provide for the very needy children of this world. 100% of your gift gets to the kids! Think --Tax time is coming --it's either the Tax man gets your money or the kids. there are an estimated 7,000 cases of leprosy in NYC! !